The autumn season sees a spike in household break-ins across the UK. The sun starts to retreat earlier each day and the cold, dark nights begin to settle in. This is the main reason household break ins increase. Which is why it is essential that you make sure your doors are safe and secure. Rusty & loose hinges – Keeping the hinges to your door in tip-top condition is vital to keeping your door in smooth working order. However, a buildup of dirt, grime and weathered conditions can cause your hinges to wear over time. We recommend that you clean and lubricate your hinges on a regular basis to stop your door rusting and seizing up. Broken handles & locks – If your door handle or lock is broken, this is a major security issue allowing trespassers access to your property. The main reasons these are prone to damage is due to the amount use they receive. Alignment Problems – When a door becomes loose on its hinges you will have issues opening and closing your door. This should not affect the lock or handle. However, over time the misaligned door can cause stress on the locking mechanism, which will make it difficult to lock. 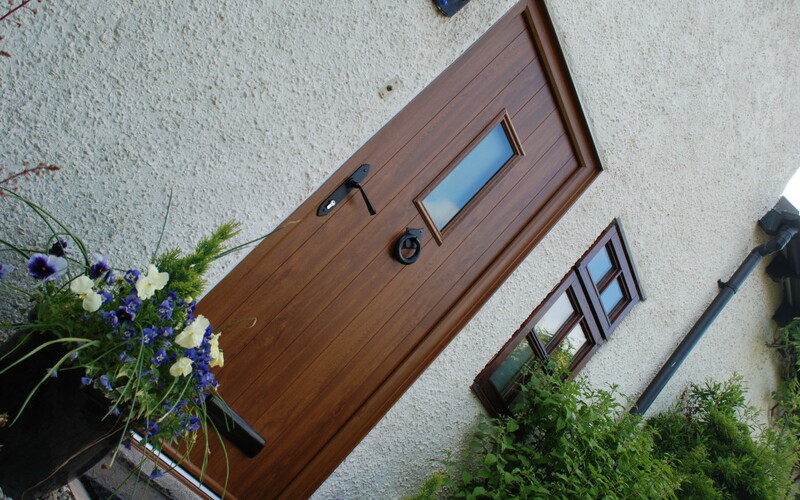 Until the end of the year, we are offering to supply the door to you at £615.00 including VAT or we can supply and install the door for you for £850.00 including VAT. To guarantee the entrance to your home impresses your Christmas guests contact us now and we will visit to discuss options.